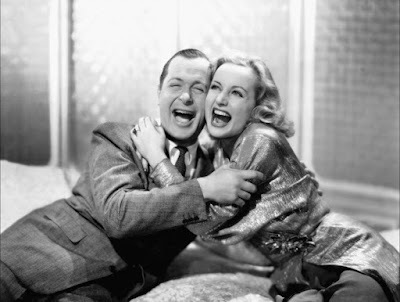 Today, I'm writing about the screwball comedies made by actress Carole Lombard. 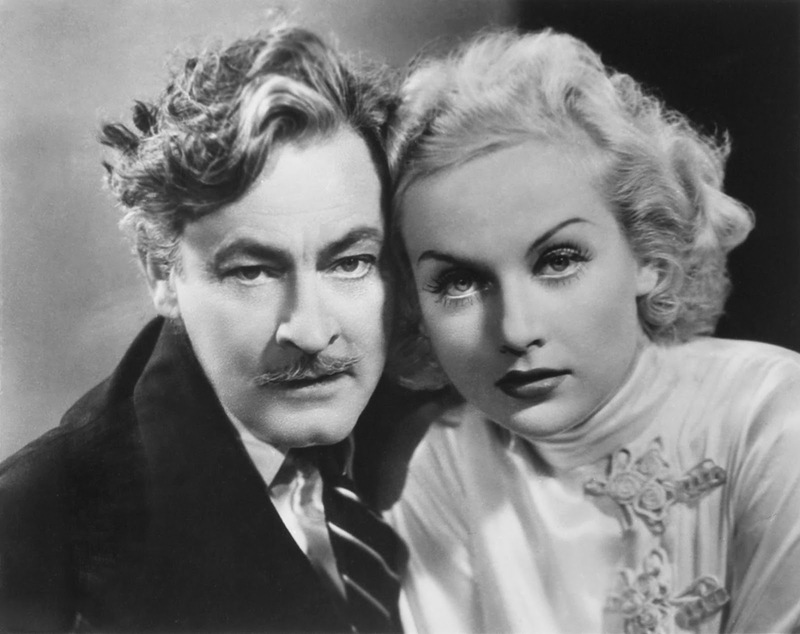 This article is part of Carole Lombard: The Profane Angel Blogathon hosted by In the Good Old Days of Classic Hollywood and Phyllis Loves Classic Movies. During the mid-1930s. screwball comedy was one of the glories of American film. While there were several actresses who excelled in the genre -- Jean Harlow, Myrna Loy, Jean Arthur -- only one leading lady earned the title of old Hollywood's screwball queen. Carole Lombard was the epitome of both glamour and comedy to many thirties moviegoers, equally adept at slinking around in designer gowns and throwing punches in broad slapstick comedy. 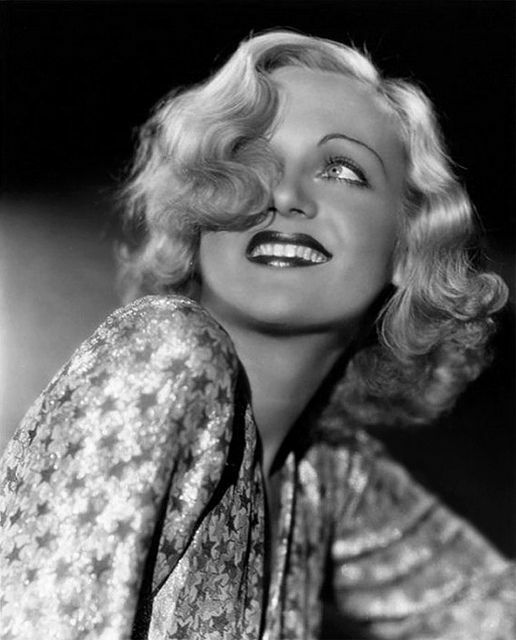 The six films I'm looking at today showcase the best comedy work of Lombard's career, but before I delve into those roles, here's a little background. Lombard was born Jane Alice Peters on Oct. 6, 1908, in Fort Wayne, Ind., as the third child in a wealthy family. Lombard had an idyllic childhood in Fort Wayne where one of her favorite activities was going to the local movie house and imitating the stars she saw on the silver screen. For reasons that aren't entirely clear, her mother moved she and her two brothers to Los Angeles in 1914. Lombard had a typical Southern California childhood, going to the beach and playing outdoors with friends, until she landed her first film role at age 12 in the silent melodrama The Perfect Crime (1921). Lombard then spent most of the late 1920s and early 1930s knocking around Hollywood in a wide variety of roles from slapstick comedy -- she was one of Mack Sennett's bathing beauties for a time -- to Westerns, but she earned the most notoriety in a series of musicals with George Raft that showed off her considerable dancing skills. However, Lombard's big breakthrough came in 1934 when director and Lombard's second cousin Howard Hawks cast her as the female lead in the early screwball, Twentieth Century (1934). Twentieth Century (1934), dir. Howard Hawks. John Barrymore and Carole Lombard in Twentieth Century (1934). Hawks felt that Lombard's forthright and funny personality would be the perfect fit for the role of Lily Garland, a former protege of Broadway impresario Oscar Jaffe (John Barrymore) who has left his theatrical company to make movies in Hollywood. The part called for a lot of comic energy as Lily and Oscar battle it out on a cross-country train ride, but when the cameras started rolling, Lombard fell back on the dignified glamour girl persona that she had cultivated in musicals with Raft. Finally a desperate Hawks took her aside and told her to react to Barrymore's antics just like she would in real life. This advice worked wonders, and Lombard earned the best critical notices of her career for her "fiery" and "uninhibited" performance. DVD; video on demand. Lombard made four more films before getting her second chance at screwball in director Mitchell Leisen's Hands Across the Table. 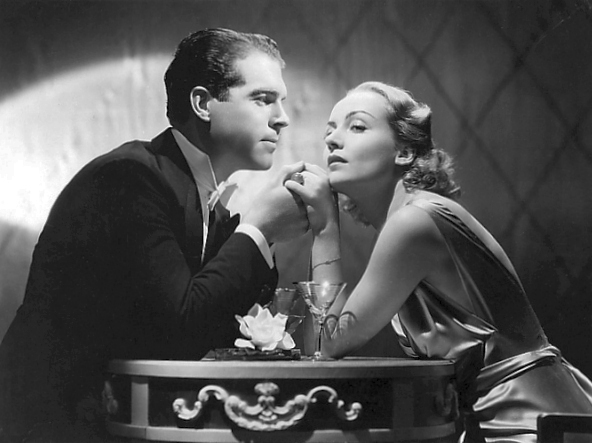 Lombard plays a gold-digging manicurist who is planning to marry wheelchair bound Ralph Bellamy for his money when she falls in love with a fellow grifter played by Fred MacMurray. Lombard once again proved her comic chops, especially in the hiccup scene, and the movie was a big hit that established she and MacMurray as a popular screen team. 8 p.m. Sept. 15 on TCM; DVD. 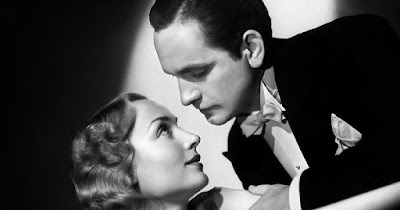 Carole Lombard and William Powell in My Man Godfrey (1936). Lombard's role as addlepated rich girl Irene Bullock in the classic screwball, My Man Godfrey, earned her the best notices of her career and an Academy Award nomination for best actress. Lombard worked hard to capture Irene's mercurial moods -- the character can be laughing hysterically one minute and then bawling like a 3 year old the next -- and her performance still stands up as one of the most charming and funny ever put on screen. DVD; video on demand. Thanks to the success of My Man Godfrey and Swing High, Swing Low (1937), a romantic drama that re-teamed her with Fred MacMurray, Lombard was the most sought after and highest paid actress in Hollywood (her salary was famously five times larger than that of President Franklin D. Roosevelt). Independent producer David O. Selznick capitalized on her popularity by creating the screwball Nothing Sacred especially for Lombard. She shines in the movie as a small-town Vermont woman, who, desperate to escape her dreary existence for the bright lights of New York City, masquerades as a radium poisoning victim for a tabloid reporter (Fredric March). She looks gorgeous in Technicolor, and she's hilarious, especially in the famous fight scene. 4:45 a.m. Sept. 15 (Friday night/Saturday morning) and 9:15 a.m. Nov. 17 on TCM; Streaming on Amazon Prime; DVD; Blu ray. 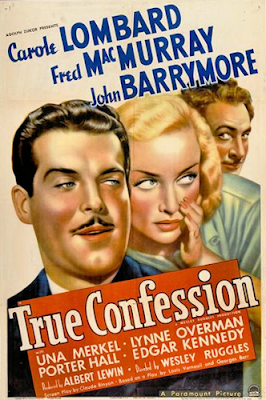 Lombard followed Nothing Sacred with one her wackiest screwballs, True Confession, in which she plays a compulsive liar married to a straight-laced prosecutor (MacMurray), who just can't stop herself from confessing to a murder she didn't commit. True Confession was a big hit at the time, but it has since garnered a somewhat mixed reputation for its unusual plot (Leonard Maltin calls it "alarmingly unfunny" in his classic movie guide). The silly plot does require that audiences suspend disbelief (it also helps if you have a high tolerance for John Barrymore's hammy thesping), but Lombard is never anything less than charming in one of her most accomplished comedy performances. DVD. Robert Montgomery and Carole Lombard in Mr and Mrs. Smith (1941). After her 1939 marriage to Clark Gable, Lombard largely turned to dramatic roles. The marital dramas Made for Each Other (1939) and In Name Only (1939) were solid box office hits, but the hospital drama Vigil in the Night (1940) and the soaper They Knew What They Wanted (1940) didn't connect with the public. Lombard felt that audiences only accepted her in comic roles, so she returned to screwball one last time for a comedy of remarriage about a couple who finds out their first wedding ceremony wasn't legally valid. Legendary director Alfred Hitchcock provides a few of his signature touches, but the movie is mostly a showcase for Lombard and Montgomery's deft comic talents. DVD; Blu ray. Lombard's last film was director Ernst Lubitsch's dark satire about the Nazi takeover of Poland, To Be or Not to Be (1942). She gives a sparkling performance as one-half of a theatrical power couple (the other half is a never-better Jack Benny) who vamps a German spy with her glamour and sophistication. Sadly, Lombard died in an airplane accident before this movie was released, leaving behind one of old Hollywood's brightest legacies as America's screwball queen. That's interesting re: Carole's initial approach to her character in "Twentieth Century". Good thing Howard Hawks pulled her aside and helped her unleashed her inner screwball comedienne!